We offer for sale works on deposit, of well known artists. Ample information can be found for each of them on Google. 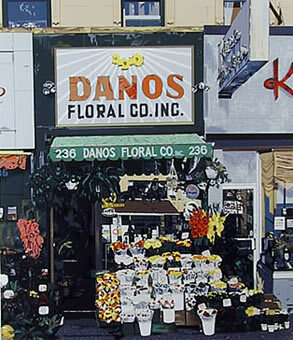 All items are readily available and some can be rented. The respective sizes of the images are not always proportionate to the actual sizes. 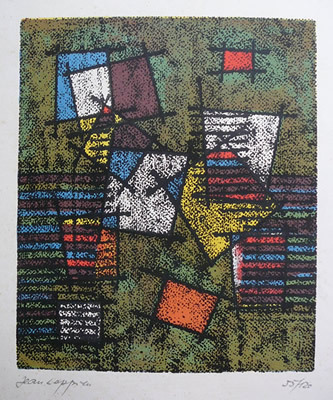 Colour-engraving by Bernard Schultze (1915-2005), signed, dated (1970) and numbered (25/120). 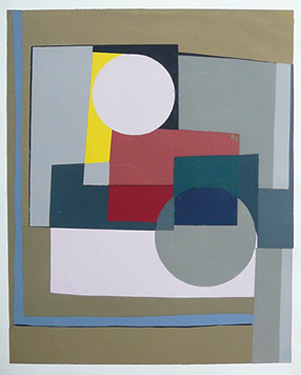 Original serigraphy on paper by Ben Nicholson (1894-1982), signed/named on back. 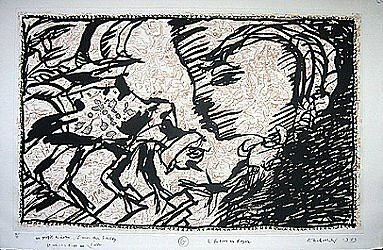 Litho by Jean Leppien (1910-1991), signed and numbered (55/120). 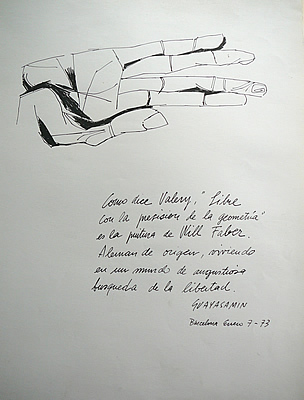 Original ink-drawing, dedicated to Will Faber, by Oswaldo Guayasamin (1919-1999). Dated (1973). 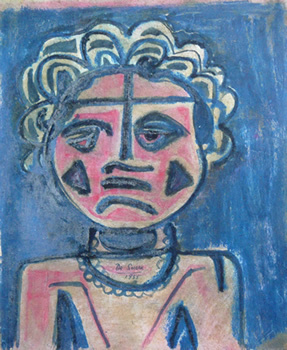 Original pastel on paper by Josep Maria de Sucre (1886-1969), signed and dated (1955). 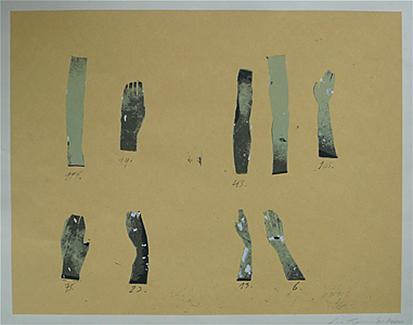 Silk-screen print by Luc Tuymans (born 1958), signed, numbered (74/150) and dated (1995). 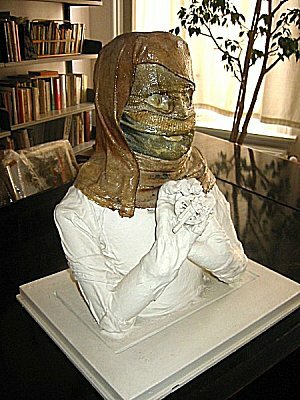 Sculpture by Paul Van Hoeydonck (born 1925), signed and dated (1979). 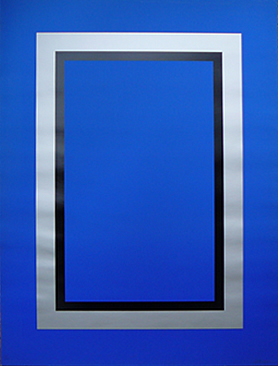 Silk-screen print by Jef Verheyen (1932-1984), signed and numbered (79/125). 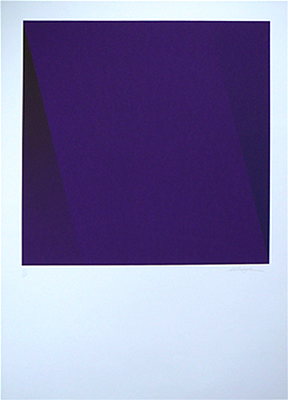 Silk-screen print by Jef Verheyen (1932-1984), signed and numbered (64/90). "Trees". 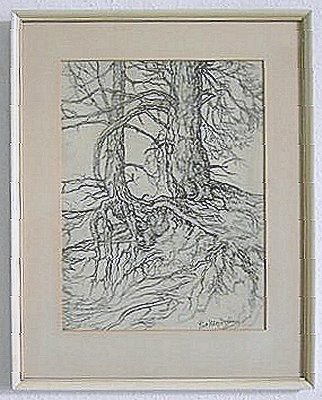 A rare drawing on paper by Piet MONDRIAAN (1872-1944), signed, which sheds a precious light on Mondrian's style-evolution (particularly in his representations of trees). N.B. : Ample info about this fascinating intellectual adventure (i.e. 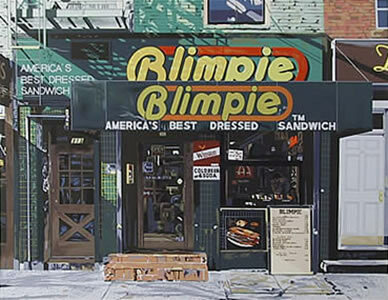 his way from Realism to the utmost Abstraction) can be found all over the Internet. Probably drawn in 1908, well before Mondriaan changed his name into Mondrian at the age of 41. "Retour au Foyer". 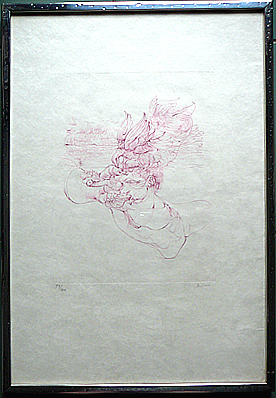 Original engraving (on a French regional map) on paper, signed, numbered (96/99) and dated (1989) by Pierre ALECHINSKY. "The Green Men". 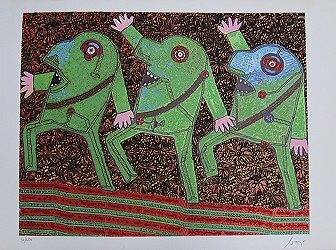 Original litho on paper (mixed media), signed and numbered 90/250 by Enrico BAJ. 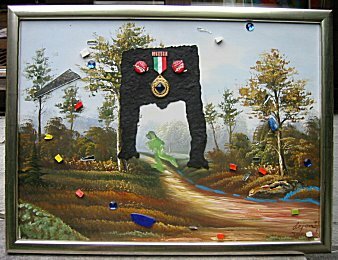 "Modification N° 3 - Hommage à Asger Jorn". Mixed media on panel, framed. Jointly created by Enrico BAJ and Jacqueline DE JONG. Jointly signed on the back of the painting. "La Trappe-Mouches". 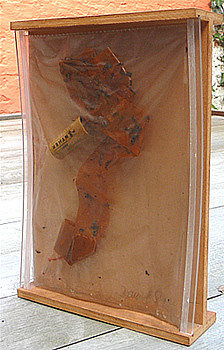 Mixed media (plywood, plastic, perspex, flypaper, dead flies), numbered (8/80) and signed by Daniel SPOERRI (born 1930). No title. 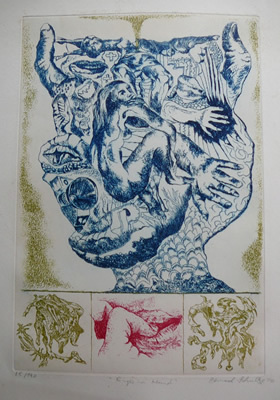 Original etching on paper, signed and numbered 84/100 by Hans BELLMER. "Paranoia". 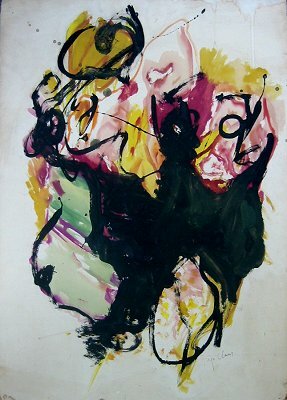 Gouache on panel, signed by Hugo CLAUS. 1958 (?). No title. Original litho on paper, signed (and dedicated to Freddy De Vree) by Hugo CLAUS. Epreuve d'artiste. 1973 (?). No title. 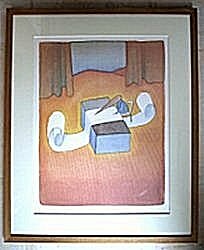 Original litho on paper, signed and numbered 9/200 by Jean-Michel FOLON. No title. 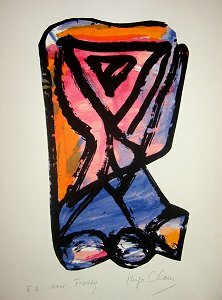 Original serigraphy on paper, signed and numbered 138/200 by Pol MARA. Under glass and with wooden frame. No title. 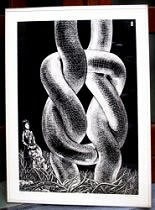 Original litho (black & white) on paper, dated (1974), signed and numbered 159/300 by Shinkichi TAJIRI. See also our Modern Masters II and don't miss our young (and mature) talents on the other pages of this site.